When I first started working in the internet industry, back in 1874, a colleague said to me that I shouldn’t be daunted by the ridiculous number of acronyms that are seemingly used on a daily basis. I’d learn them in good time, he said. There was no need for panic stations. Sure enough, I was bombarded with seemingly random three- and four-letter acronyms, from all directions. I hunkered down and gradually learned the most important ones. I’m somewhat allergic to jargon, but sometimes there is no getting around the fact that we need to speak the right language in digital marketing circles. There is only one way to describe ‘real-time bidding’ (RTB), and no amount of Plain English is going to improve that kind of phrase. We used to have a glossary on a much older version of Econsultancy.com, but that’s long since vanished, so I thought I’d compile a handy cut-out-and-keep guide to help newbies to get up to speed with the lingo. So here is a list of the most common acronyms that every digital marketer should know about. I think they cover most bases, though no doubt I have missed out a few obvious ones (by all means add them in the comments area below). Some of these are very much filed under ‘marketing’, whereas others lean more towards ‘tech’ (but are included as you are likely to cross their paths at some point). For the purposes of brevity I shan’t define each one: that’s what Google / Wikipedia is for. What others are there that are worth knowing / used often? 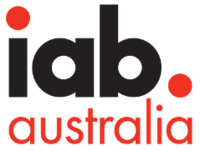 Digital ad spend in Australia reached $3.3b last year, an 18% increase on 2011, according to a new Interactive Advertising Bureau (IAB) report. Figures showed that not only did digital ad spend as a whole exceed market predictions last year but mobile advertising saw a growth of 220%, pulling in $86.2m. Year-on-year, video advertising also grew 30% to reach $90.3m. The significant rise in figures was due to growth across all categories, including a 27% increase in Search and Directories advertising, a 10% increase in General Display advertising and a 9% increase in Classifieds advertising. It’s been a riotous week on #TheDigitals leaderboard, with nefarious ReTweet covenants being struck, random hashtagging explosions and even a bit of cold hard cash being thrown around as various parties try their best to scale to the dizzy heights of superstar of the week! In the end though there can be only one, so this week we’re congratulating web and online marketing whizz (and occasional Econsultancy guest blogger) Dan Barker – Well done Dan! The call for participation in Econsultancy’s Top 100 Agencies Report is now open. With 2013 being the year that digital truly goes mainstream in business, and the multitude of predictions on themes to watch along the way, this series of Q&As with marketing heads agency-side will bring analysis and commentary ahead of the report to our blog. Here Karl Havard, Client Strategy Director at TBG Digital, discusses key digital trends and working with new strategies to deliver clients results.